How is Ultraviolet Water Purification an Effective "Final Barrier" Solution? Despite treatment at municipal water plants, contaminants may still be found in our water. The U.S. has some of the cleanest water in the world, but the ever-increasing threat of leaching pipes, corrosion, and plant power outages are very real causes for concern. Waterborne pathogens cannot be removed 100% of the time by conventional water treatment processes in a central water treatment plant, and water-based pathogens often grow in distribution systems. Contamination of distribution systems through intrusion or main breakage also is being reported, and widespread occurrence of enteric viruses is being recognized in groundwater sources. Isn't only about 1% of water treated by municipalities consumed by people? It's true that 99 out of every 100 gallons of "working water" is used to flush toilets, shower, water lawns, and similar household tasks. But because that 1% is the water WE DRINK, the safety level of this water is of paramount concern. In the past few years, there has been increased focus on solutions for "final barrier treatment". In simple terms, a water purification system is used to provide a final barrier to protect residential (and commercial) drinking water to give peace of mind. Is there an effective, yet economical solution? As a long-established and highly-regarded form of water treatment, ultraviolet water disinfection systems are used around the world in millions of businesses and homes. Ultraviolet (UV) Water Purification is a proven technology that uses UV light to kill harmful microorganisms in water. In simple terms, UV systems kill microbes by exposing water to the right light wavelength, thus destroying the DNA of bacteria, fungi, protozoans, viruses, and cysts so they can no longer reproduce. Ultraviolet water purification is effective, environmental friendly, reliable, quick, clean, safe, economical, and essentially trouble free.  Learn more about ultraviolet water purification technology.